Carnival Corporation & plc, the world’s largest cruise company, announced today it will increase fleet capacity by nearly 10 percent from 2014 through 2016, fueled largely by the addition of four new ships across four brands in less than 18 months. This week, Carnival Corporation is christening two new ships in the span of three days as its Princess and Costa brands host official naming ceremonies for Regal Princess and Costa Diadema, the latest new vessels to join the company’s industry-leading fleet of more than 100 ships across nine cruise brands. Additionally, in 2015, the company’s P&O Cruises UK and AIDA brands will each debut a new ship, giving Carnival Corporation a total of four new ship additions by October of next year. The 2015 refurbishment plans include two former Holland America Line ships transferred to P&O Cruises Australia that will undergo complete refurbishment before sailing as Pacific Aria and Pacific Eden starting inNovember 2015. The renovated ships will offer a new level of comfort and style with onboard features tailored for Australian and New Zealand passengers, as Carnival Corporation boosts its industry-leading presence in the world’s fastest-growing cruise market. Yesterday, Princess Cruises officially christened the new Regal Princess in a naming ceremony featuring the original cast members of “The Love Boat” television series who are serving as godparents for the new ship. After entering service in May 2014, the newly christened Regal Princess will now begin her maiden season ofCaribbean cruise vacations sailing out of Port Everglades in Fort Lauderdale, Fla. Tomorrow, Nov. 7, Costa Cruises will host a naming ceremony for Costa Diadema in Genoa, Italy, where the brand’s new flagship will be christened by the ship’s Godmother, Carolina Miceli, an Italian travel agent selected from over 700 candidates in 50 countries for best representing the cruise line’s values. Following the christening, Diadema will begin sailing in the Mediterranean through the summer of 2015. Carnival Corporation’s four new fleet additions in 18 months are part of the company’s plan to introduce nine new ships across seven of its brands between 2014 and 2017. AIDA, Carnival Cruise Lines, Costa Cruises, Holland America Line, P&O Cruises UK, Princess Cruises and Seabourn are all expected to debut new state-of-the-art cruise ships between now and the early part of 2017. In 2016, Carnival Cruise Lines will debut Carnival Vista, a stunning 133,500-ton ship that will be the largest ever in its fleet — with the ship being unveiled in a sneak preview in New York in January 2015. Holland America Linewill launch its newest ship, the 99,500-ton ms Koningsdam, a new Pinnacle Class ship that can carry 2,650 passengers. 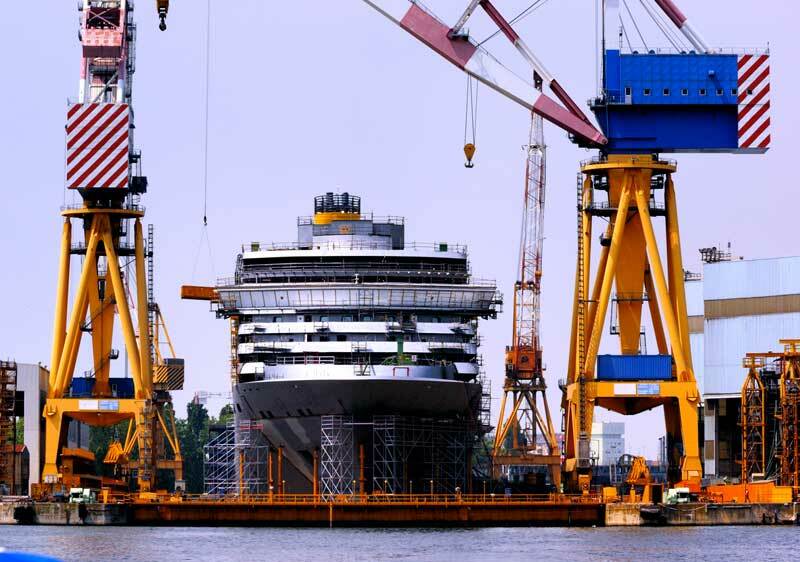 Also in 2016, AIDA will introduce a new sister ship to the 2015 AIDAprima with capacity for 3,250 passengers, while Seabourn will unveil its newest luxury ship, expected to be the biggest ever built by the brand with the ability to serve 604 passengers. Looking forward to 2017, Princess Cruises is working with Italian shipbuilder Fincantieri to build a 143,000-ton vessel featuring the highly popular design elements introduced by the brand’s two newest ships, and sisters, the Royal Princess and Regal Princess.